While at the station in Trieste, James Bond spots a man on the platform who stands out to him. It crossed Bond’s mind that he was an Englishman. 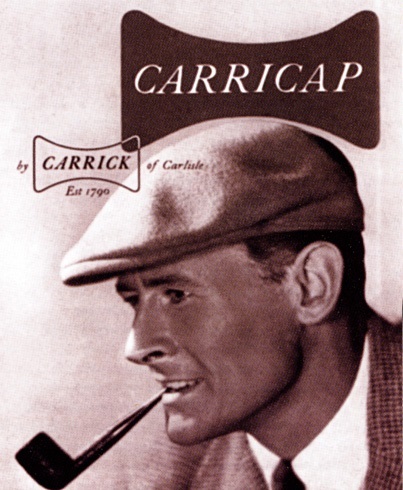 Perhaps it was the familiar shape of the dark green Kangol cap, or the beige, rather well-used mackintosh, that badge of the English tourist, or it may have been the grey-flannelled legs, or the scuffed brown shoes. But Bond’s eyes were drawn to him, as if it was someone he knew, as the man approached up the platform. 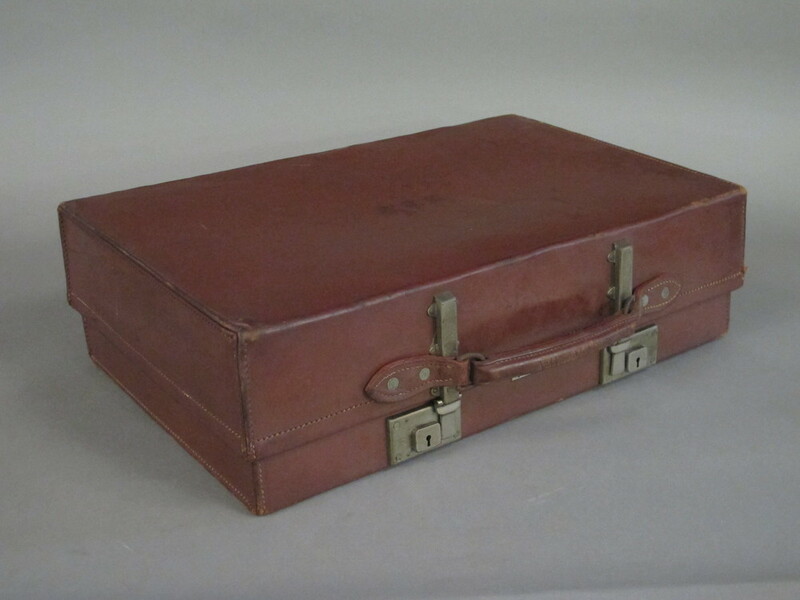 The man was carrying a battered Revelation suitcase and, under the other arm, a thick book and some newspapers. Bond approaches him, and after an exchange of recognition signals, the man identifies himself as Captain Norman Nash, and that he’s been sent by M to assist Bond. 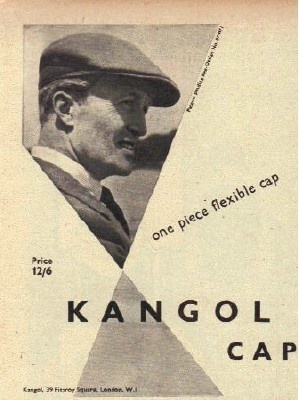 During WWII, Kangol provided berets for the British army, and by 1954 had a virtual monopoly on the market. 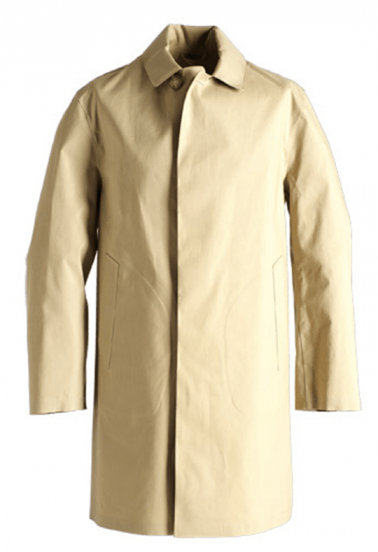 The Mackintosh, “the badge of the English tourist” is of course the waterproof raincoat. A genuine Mackintosh would be made from rubberized or rubber laminated material, but the term has also become a reference to any raincoat. Grey-Flannelled trousers and scuffed brown shoes complete the very-English wardrobe. 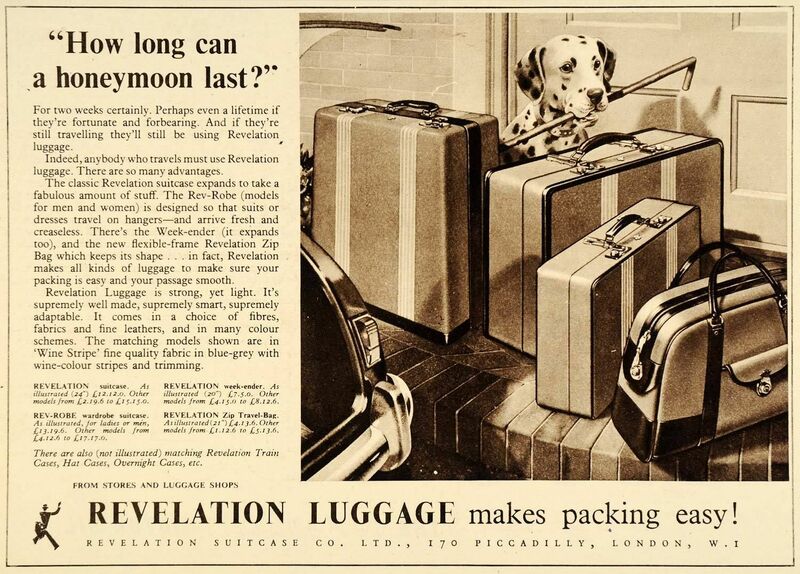 The Revelation suitcase may have looked something like this. He was wearing an old reddish-brown tweed coat with his flannel trousers, a pale yellow Viyella summer shirt and the dark blue and red zig-zagged tie of the Royal Engineers. It was tied with a Windsor knot. 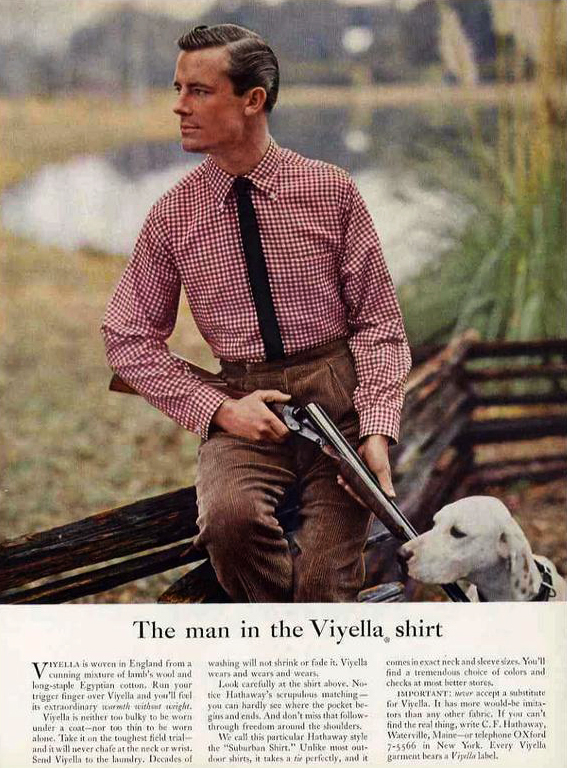 Viyella is a U.K. clothing manufacturer with history dating back to 1784. The distinctive tie of the Royal Engineers (tied with a Windsor knot, which Bond distrusts) completes the outfit. 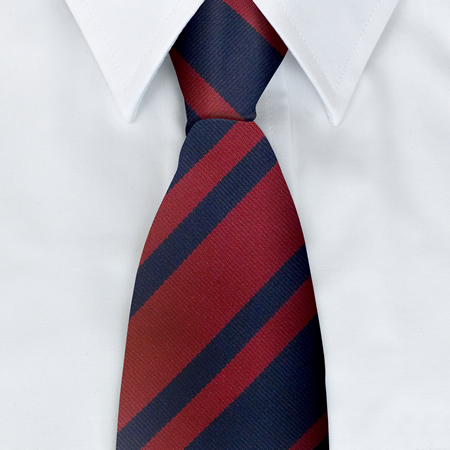 Confession – I don’t know if this is a Windsor knot.